•Do you want to start your own business? •Consider making more money investing in real estate? •Would like to learn how to analyze a businesses before buying stock? Make the first step by joining the Project: Action Book Club every first Tuesday. We will discuss how to make money by investing in stocks, real estate and jump-starting successful businesses. 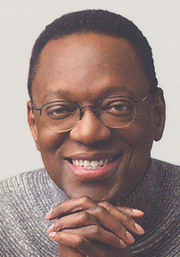 Alvin D. Hall is currently considered a "single author." If one or more works are by a distinct, homonymous authors, go ahead and split the author. Alvin D. Hall is composed of 3 names. You can examine and separate out names.